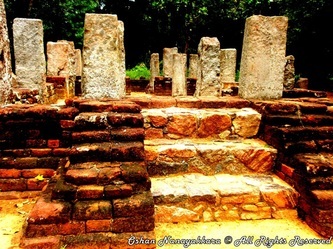 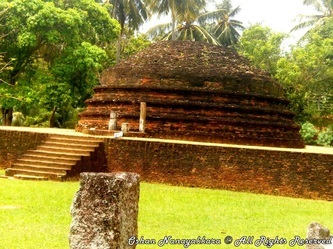 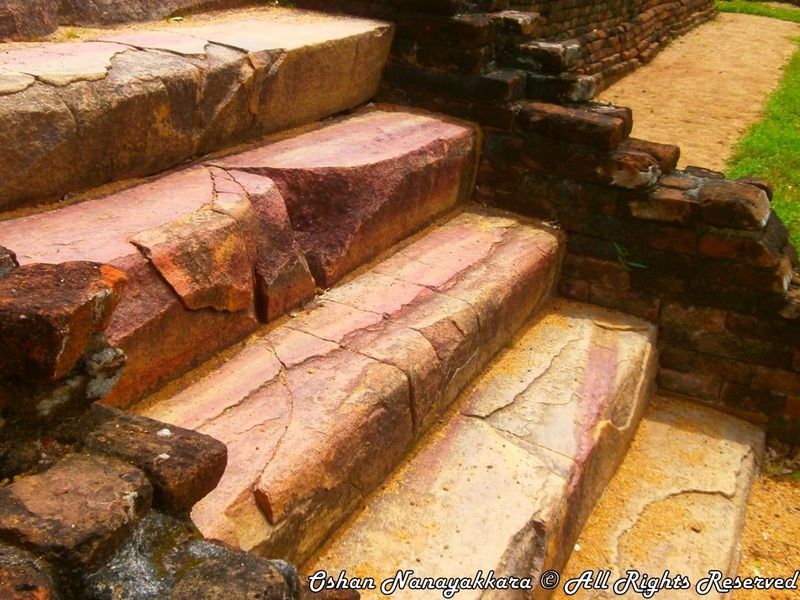 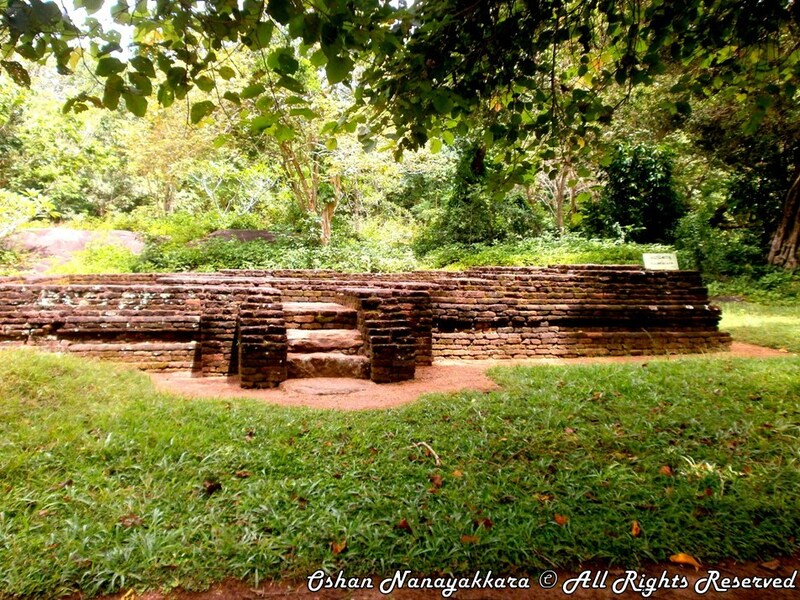 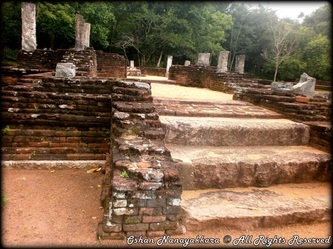 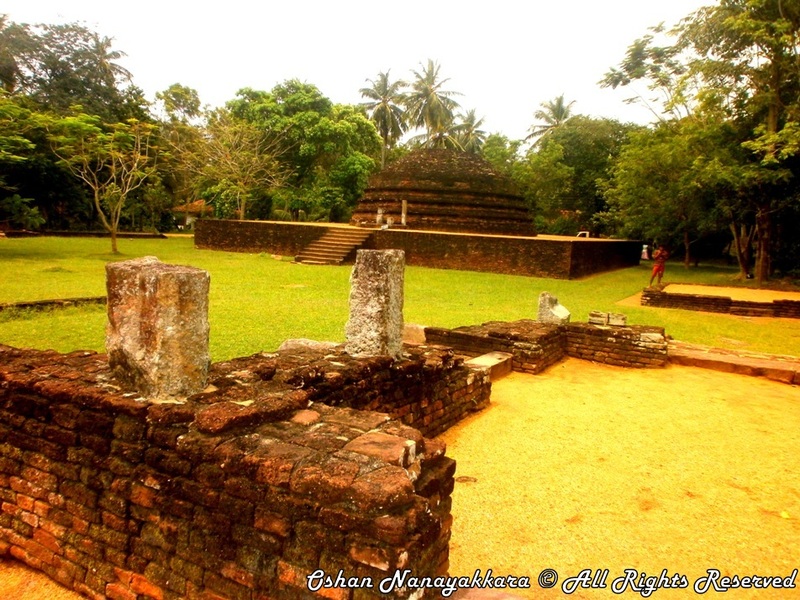 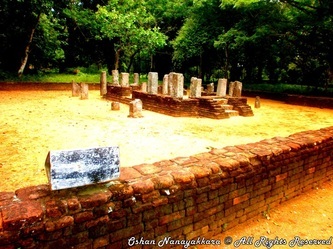 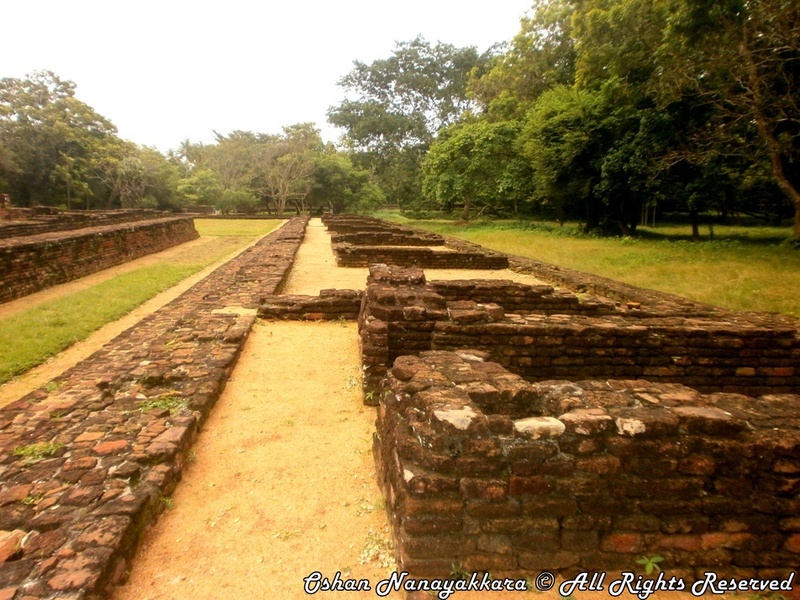 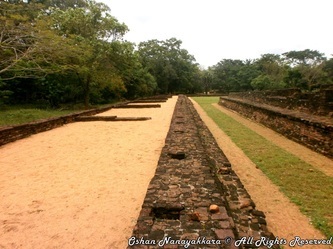 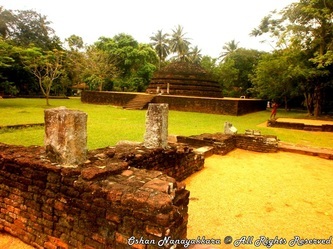 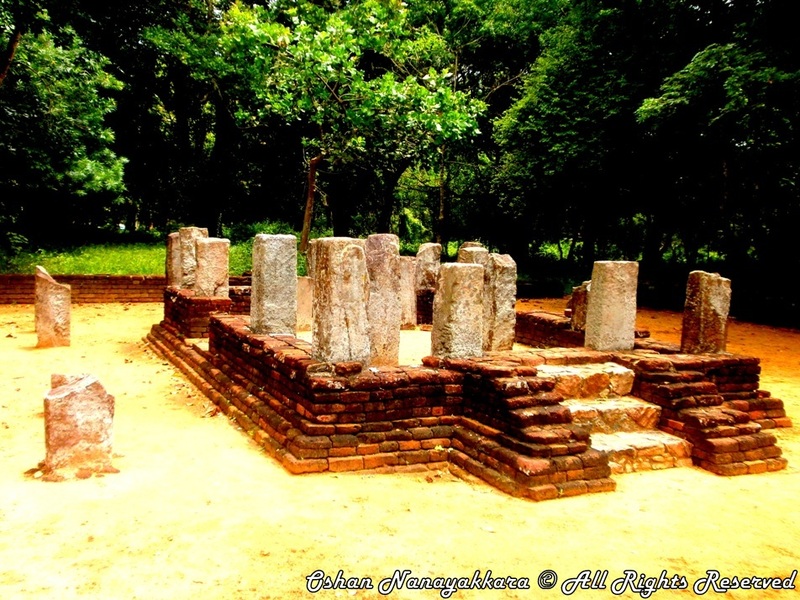 For a brief period during the 12th century under the reign of King Parakramabahu, Panduwasnuwara became the capital of Lanka. 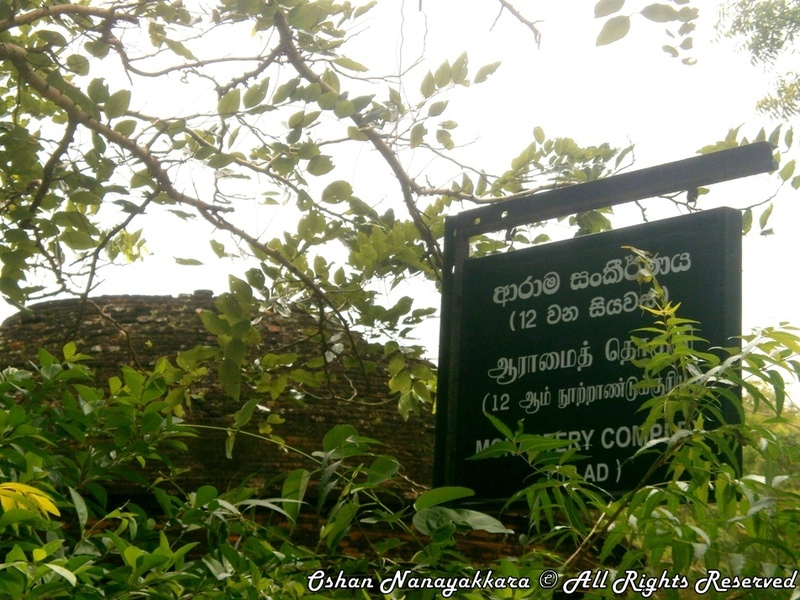 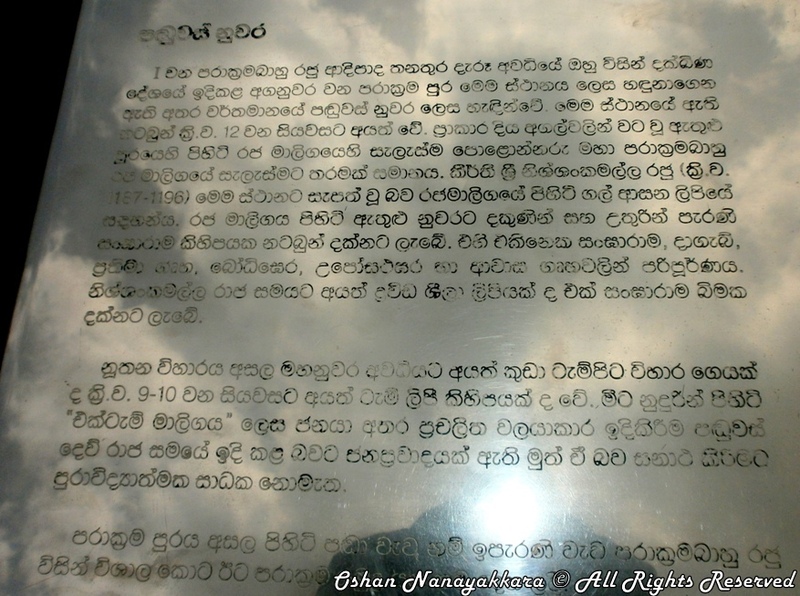 It was here that the sacred tooth relic was housed after it was forcibly removed from Yapahvuwa by invaders from India. 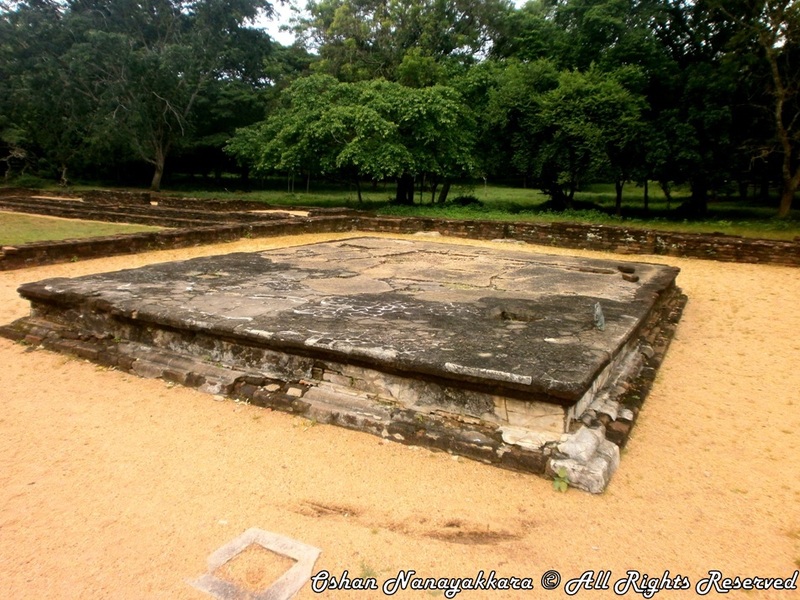 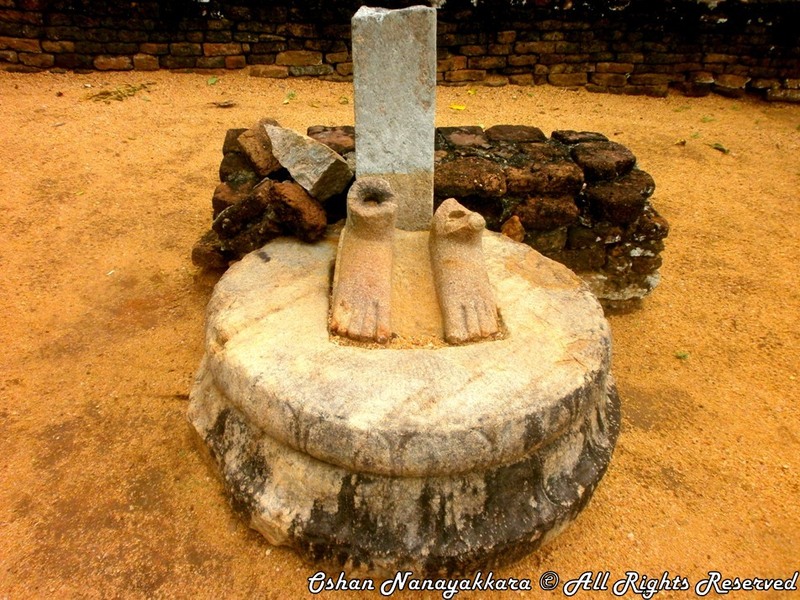 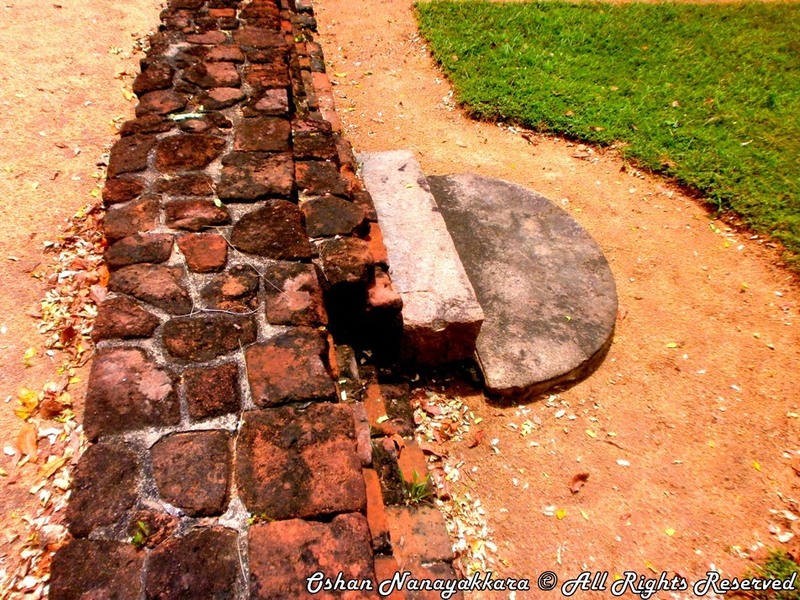 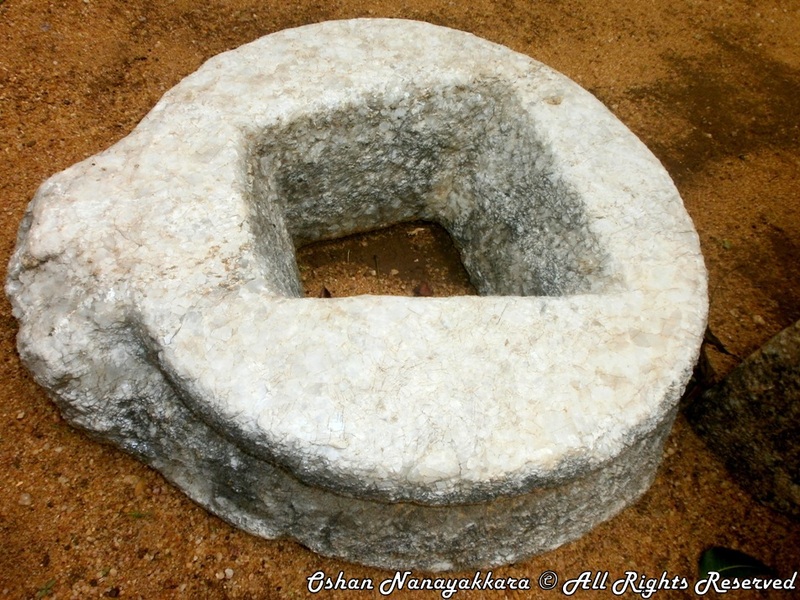 The stories tell us that King Parakramabahu retreived the relic from India and brought it back and placed it here. 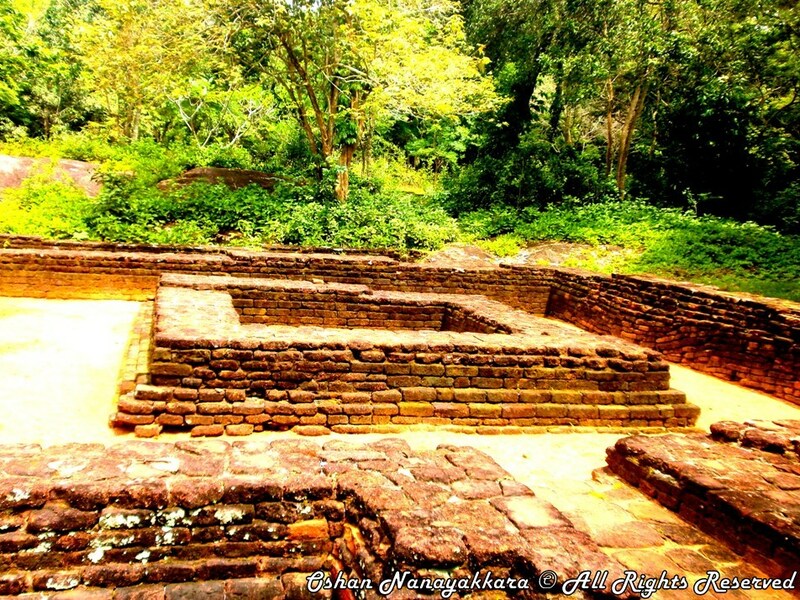 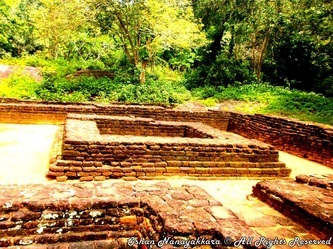 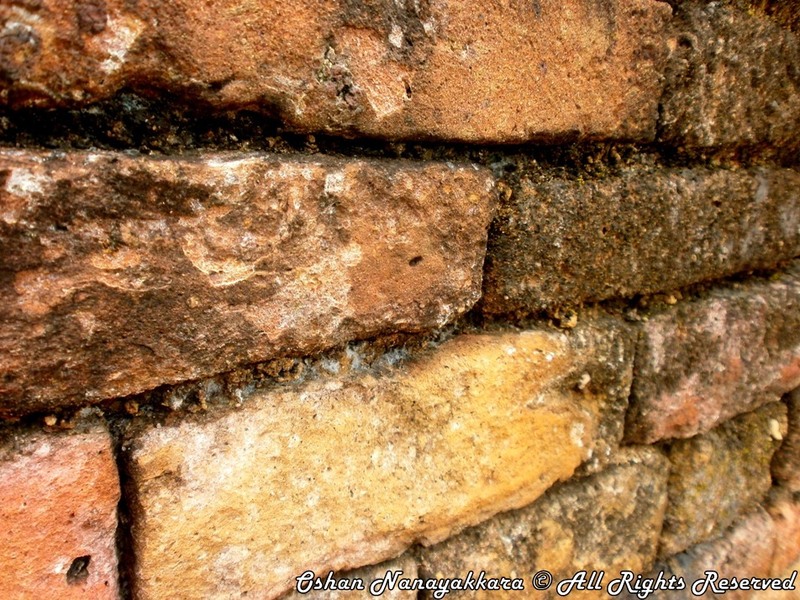 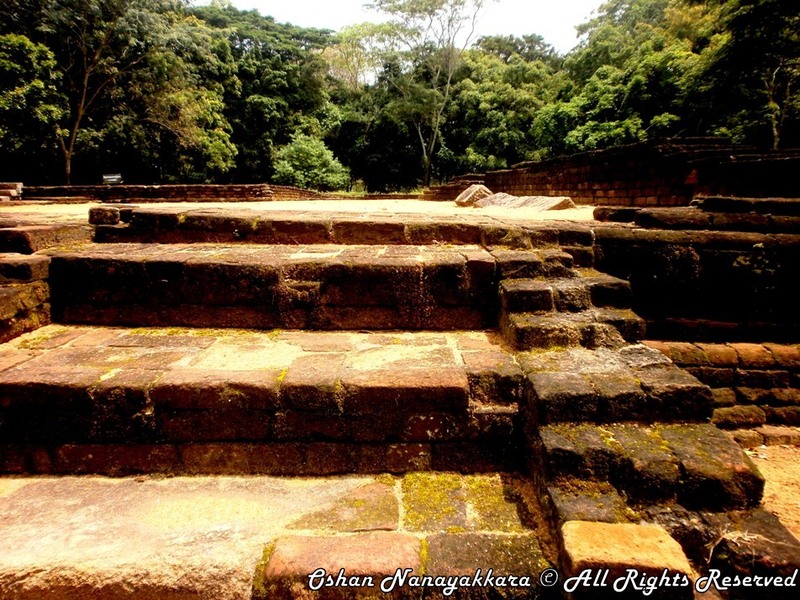 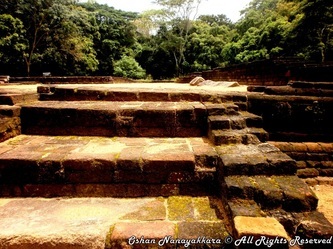 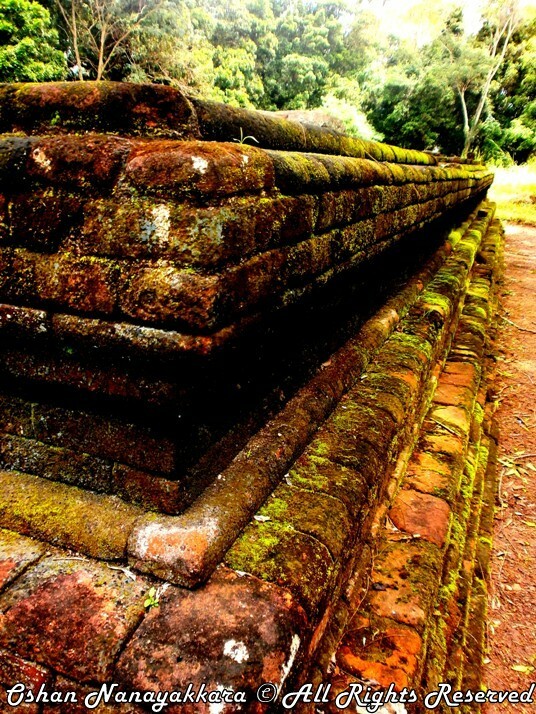 As for Panduwasnuwara, it is spread over an area of about 20ha and archaeologists have yet to uncover it all and some locations still remain unexcavated. Its a pretty place with elegant stone work, quaint dagobas and other beautiful structures including a monastic complex, bathing pools and an audience hall in the main palace area. 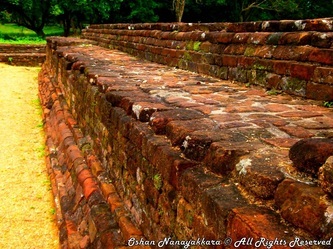 The palace complex is surrounded by a six meter wide moat and wall and outside the moat is the restored temple that housed the sacred Buddha relic and a sacred Bodhi tree. 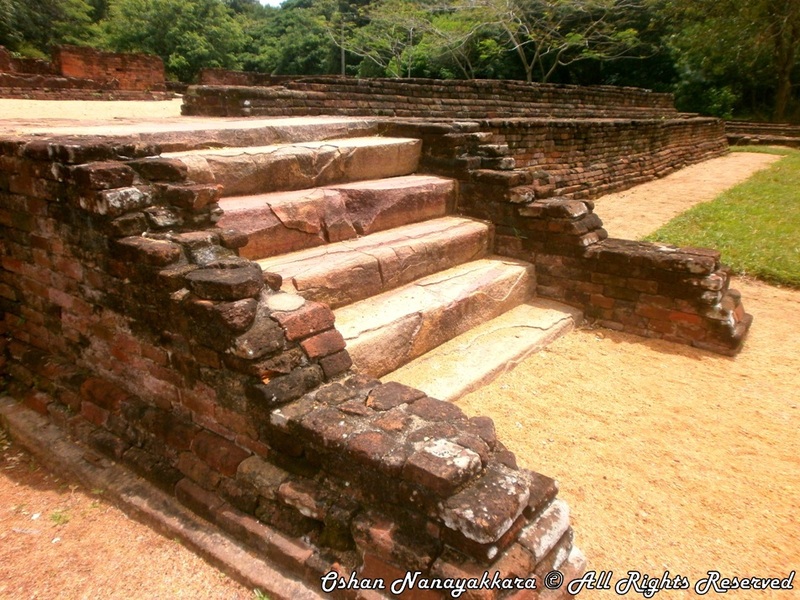 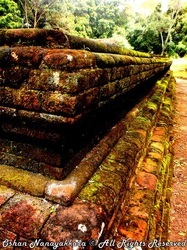 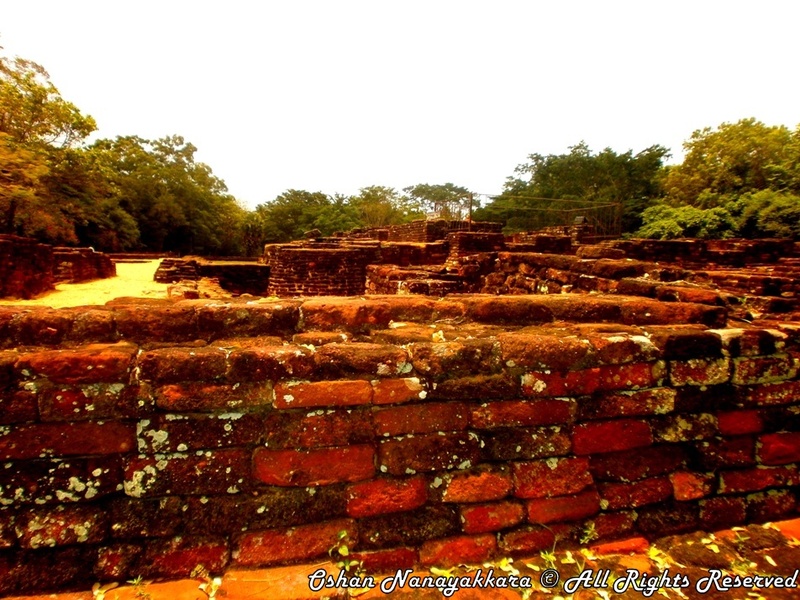 One can also see the original foundations of the temple as well as the elaborately designed roof which was restored back in the 1970's and nearby can be found a small museum for visitors. 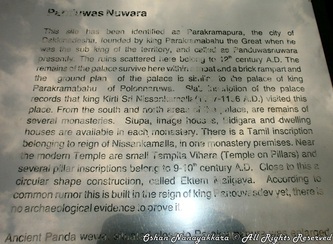 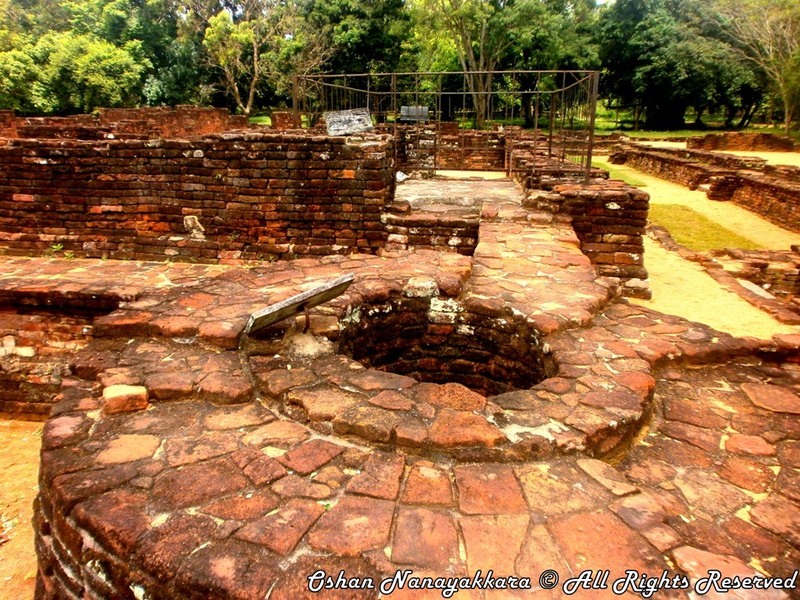 But the most interesting place at Panduwasnuwara is the round shaped palace within the circular moat. 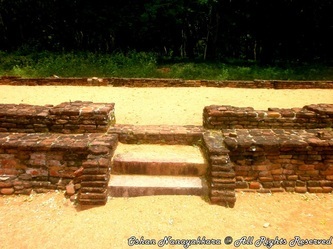 It is not known for sure who built this place, but it is believed to have been several stories high.